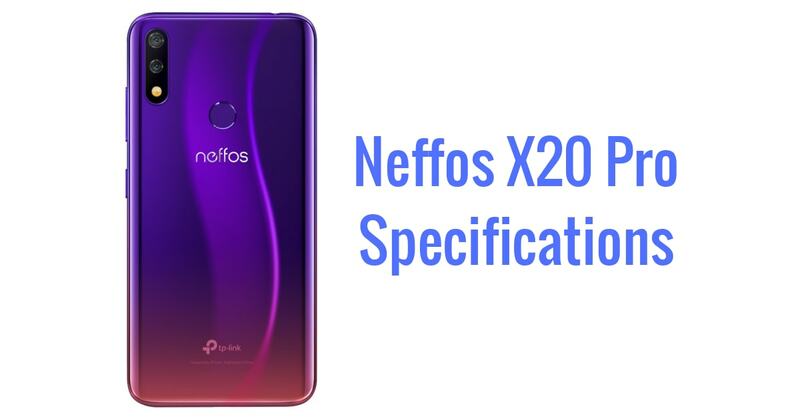 Here is everything you need to know about the recently launched Neffos X20 and X20 Pro smartphones. While everyone was busy with Samsung Galaxy S10, ZTE Axon 10 Pro 5G, LG V50 ThinQ, and other flagship smartphones, the China-based computer networking products manufacturer TP-Link upgraded their X lineup by introducing two new smartphones, Neffos X20 and X27 Pro, at the MWC 2019 event in Barcelona. 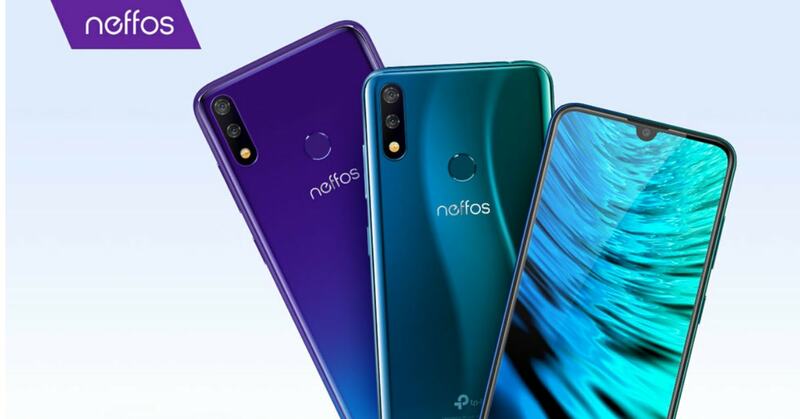 Neffos is TP-Link’s sub-brand for smartphones. 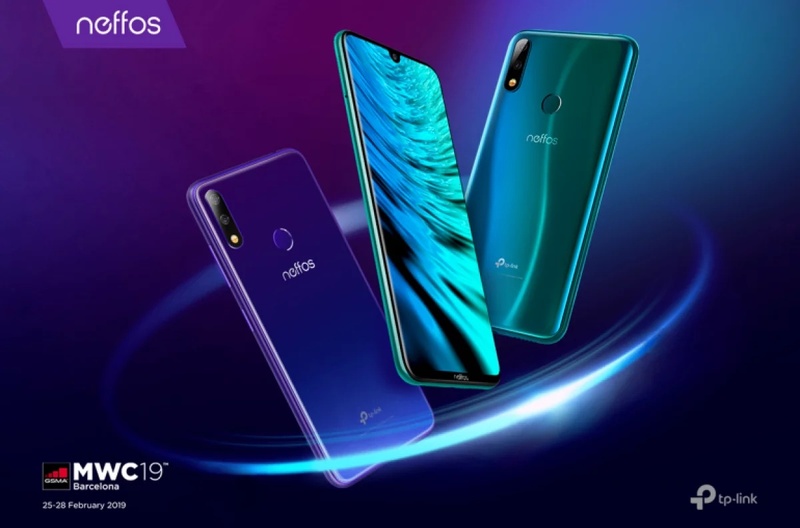 The new Neffos X20 & X20 Pro come with waterdrop notch display, gradient design, dual rear-facing cameras, 4100mAh battery, and much more. 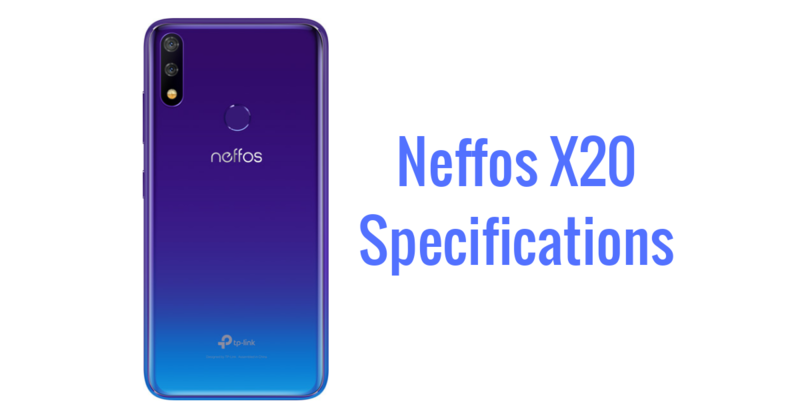 The new Neffos X20 smartphone features a 6.26-inch HD+ display with a 19:9 aspect ratio. There’s also a waterdrop notch on the top of the screen. The device is powered by the MediaTek Helio A22 processor. It comes with 2GB of RAM and 16GB/32GB of internal storage. There’s also a microSD card slot for storage expansion. In terms of camera, the phone packs dual rear-facing cameras including a 13MP primary sensor and a 5MP secondary sensor with an LED flash. For selfies, the device has an 8MP front camera with AI-powered features and Face Unlock. Some of its camera features include portrait mode, bokeh effect, AI scene recognition, and AI beauty mode. The dual-SIM handset runs on the NFUI 9.0 interface based on Android 9.0 Pie operating system. It is fueled by a huge 4100 mAh non-removable battery. Sadly, you won’t get any fast charging support on this device. For network & connectivity, the device has 4G VoLTE, Wi-Fi, Bluetooth, 3.5mm headphone jack, GPS, etc. The fingerprint sensor is located on the rear. We know that TP-Link is known for its Wi-Fi routers. Hence, they have provided optimized antennas for stronger and faster signals. The Neffos X20 Pro packs better cameras, processor and storage than the X20 version. On the front, you will find the same 6.26-inch HD+ display with waterdrop notch and 19:9 aspect ratio. The device houses an octa-core MediaTek Helio P22 processor along with 3GB/4GB of RAM. It is available in three storage options: 32GB, 64GB and 128GB. For photography, the phone has dual (13MP+5MP) rear-facing cameras with an LED flash. There’s also a 13MP selfie shooter with AI-based features and various modes. When it comes to software, the device runs Android 9.0 Pie with NFUI 9.0 out of the box. It is backed by the same 4,100 mAh battery as its forerunner. For security, the phone has a rear-mounted fingerprint sensor and Face Unlock. The company has already officially unveiled the phones at the MWC 2019 event in Barcelona. But the prices of the devices are still not announced. The new flagship smartphones will be available in the second quarter of 2019. This means that the sales should start by the end of June 2019. Sadly, Indian market will not get these devices. The X20 will be available in four different colors: Black, Blue, Red and Aurora Purple. Obsidian Black, Sapphire Blue, Malachite Green and Sunset Purple.